Discover one of the best kept family secrets in Leavenworth. 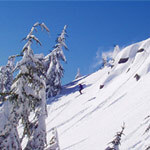 Ski Hill for beginners and intermediate skiers. Go to the lodge for lunch and sit by the cozy fireplace or on beautiful deck over looking all the action. Two rope tows provide ample challenge for families and the kids have a blast. Try the tubing run while you are there. 2 groomed hills with rope tows: beginner 'bunny' and intermediate. 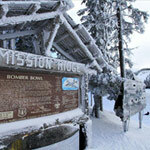 Historic lodge where lunch is served and warm up with a hot drink. Only 1.5 miles from downtown Leavenworth. Nordic ski jumps rebuilt in 2002 and 2003, and now with their own tow rope. Beautiful Cross Country and Skate Ski trails that open every day and lighted for night skiing. Tubing hill (new in 2005) - with a tow. 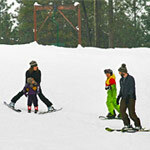 Learn more about Ski Hill at Leavenworth Winter Sports Club.